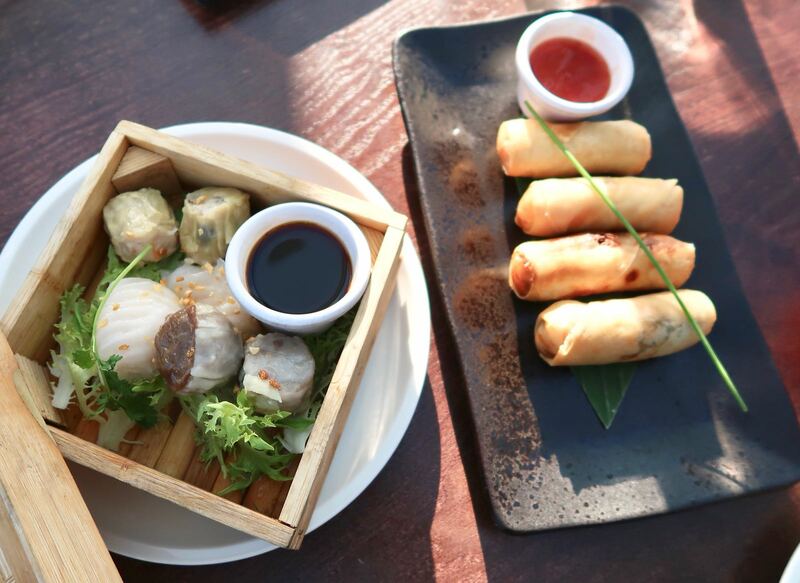 Since its opening in late 2012 Chaophraya has seemed to be the Thai restaurant on everyone's lips. 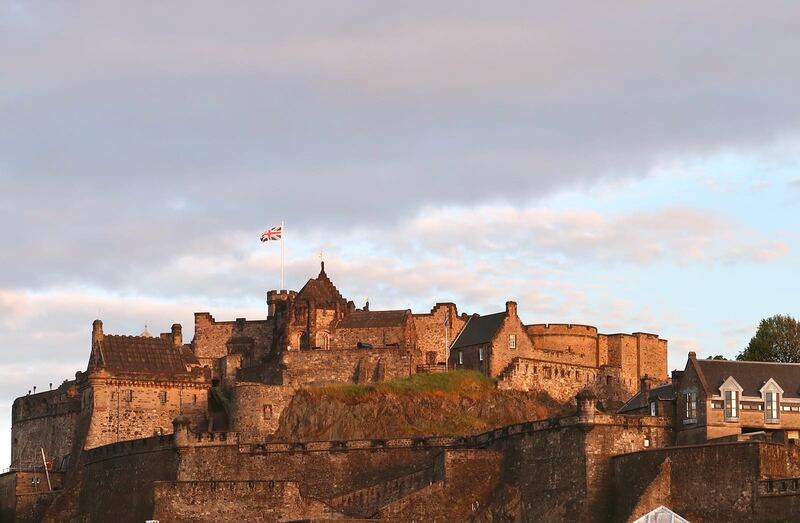 Everyone from our best friends to my next door neighbours to the postman was raving about the delicious food, incredible service and, of course, the complete showstopper that is the view of Edinburgh Castle from the rooftop dining area. 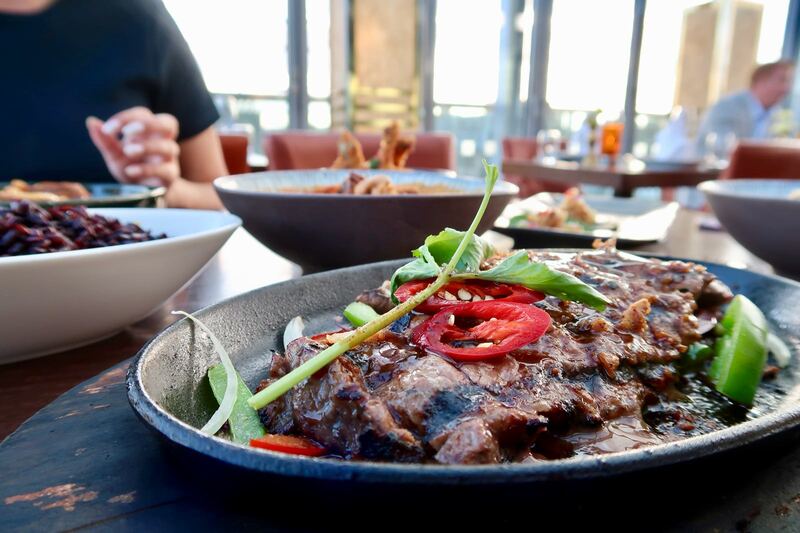 We put off visiting Chaophraya because of the general hype around the place - not to mention that it was near impossible to secure a booking over the weekend. Fast forward a few years and we finally found ourselves at one of the best tables in the restaurant inside the amazing glass rooftop dining area. Chaophraya strikes me as one of the rare restaurants that you can visit with multiple types of party. 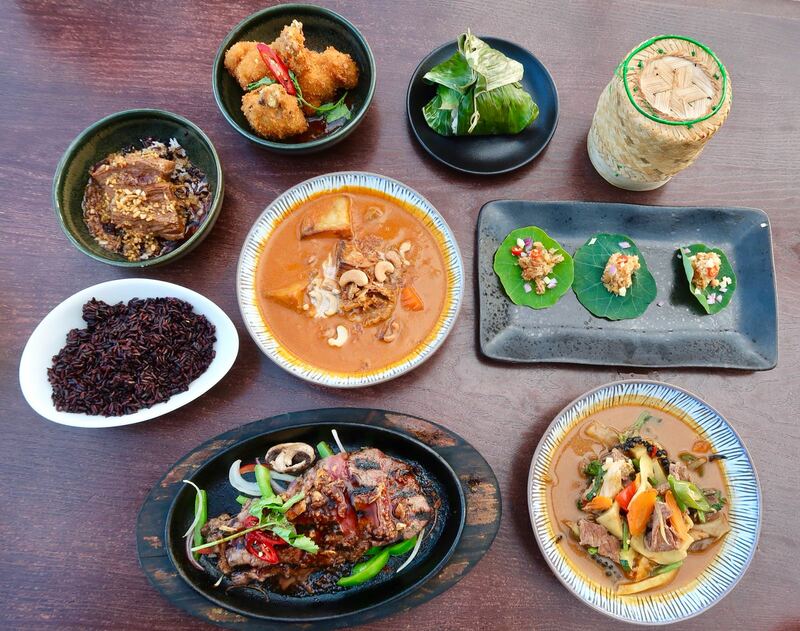 The delicious Thai food would be the ultimate setting for a Friday night out with the girls, a family celebration or a romantic date night. By the end of the dinner, we were tempted to book a table for the following week to enjoy the tremendous food again and again. From the moment we arrived and were seated the service was fast and efficient and the general atmosphere in the restaurant was relaxed despite how busy it was (even on a Tuesday evening this place is very popular). We settled in and agonised over the lush cocktail menu before finally settling on a Raspberry Collins and Kier Champagne cocktails. The drinks were excellent. 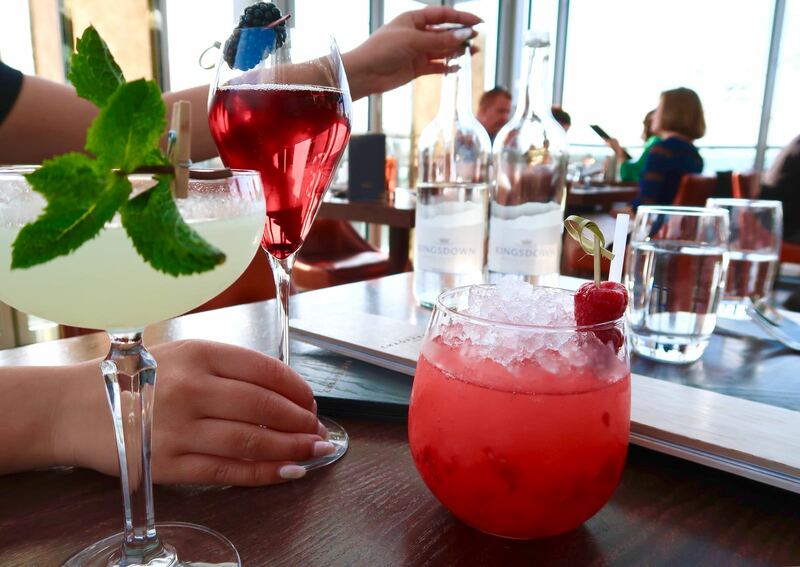 They have some completely original cocktail recipes which showcase some delicious Thai flavours and were the perfect tipple to kick-off an evening of fantastic food and company. The service at Chaophraya was excellent throughout the night - the waitress looked after us throughout the evening and had perfected the balance of being attentive but not overbearing. She ensured our water glasses were never empty and we had limitless access to the rooftop terrace for photo shoots throughout the evening. The menu had something for everybody and for three foodies it was difficult to decide what we didn't want to try never mind what we wanted to order. In the end, to start, we settled on the Yaowarat Dumpling Platter and the Chicken Spring Rolls which we shared. The spring rolls were perfectly crispy and the filling was moist and bursting with flavour. Lyndsey has a bit of a love/hate relationship with spring rolls after bad experiences in the local Chinese (haven't we all) but Chaophraya reaffirmed her love for the crisp delights. The selection of pork, prawn and beef dumplings were simply perfect. We loved the variety of flavour and textures with the different fillings but the prawn dumplings were a firm favourite for us all. The sweet soy sauce that was served with the dumplings was incredible too. 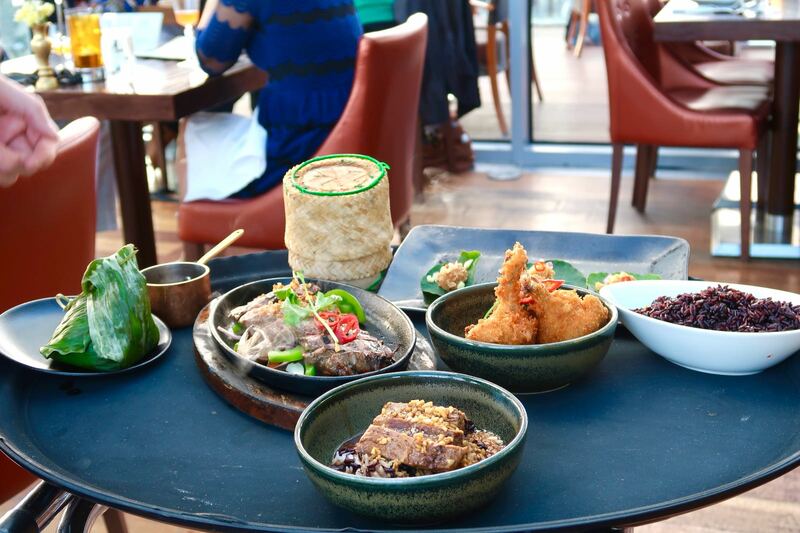 We decided to order a few things to share with our mains so we could taste a variety of the incredible dishes that were on offer. 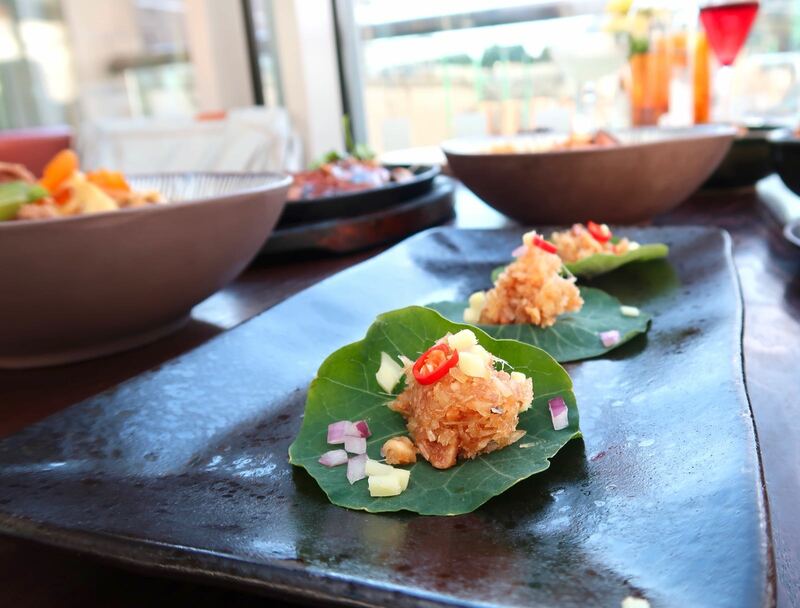 From the 'Thai Re-Imagined' section on the menu (a variety of small plates recommended to accompany the mains) we ordered the Miang Kahm with Nasturtium- a little mouthful of ginger, coconut and spice served on a leaf. The flavours within this small bite were so intense, an interesting way to prepare our palettes for what was to come. An absolute must try from this section on the menu is the Sous Vide Pepper and Garlic Beef. 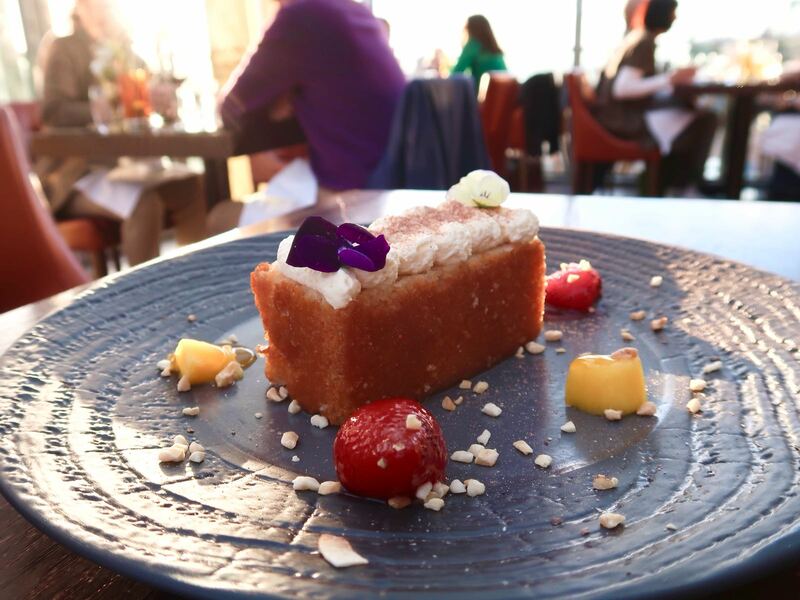 Anyone who hasn't tasted this dish is missing out in our eyes. The slow-cooked beef melts in the mouth and the blend of truffle oil, mung bean and garlic in the rice/pearl barley will have you craving more. We also tried the Chicken Boxing: succulent chicken wings coated in crispy breadcrumbs served with a sweet chilli sauce which was the ultimate guilty pleasure side to accompany out Thai banquet. 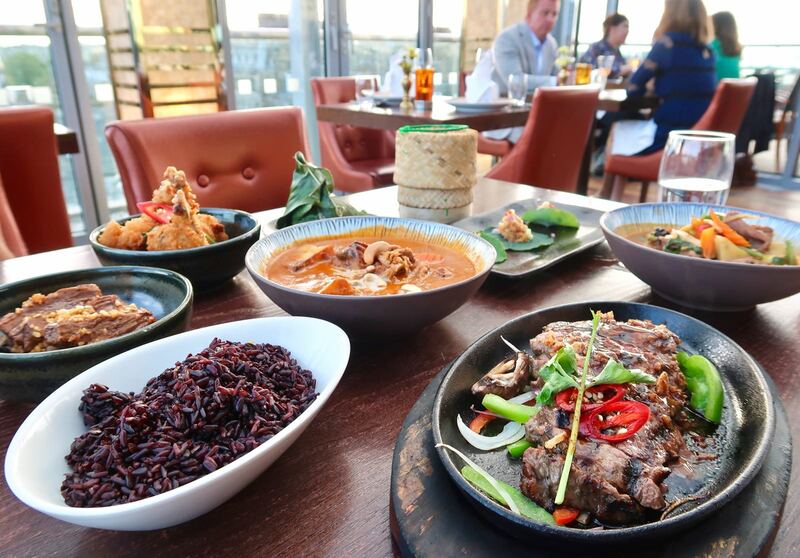 The mains we ordered comprised of a classic Massaman Curry, a spicy Beef Jungle curry and Tiger Steak. We ordered coconut rice and purple rice which were both totally perfect to go with our dishes. The purple rice definitely had a bite to it but was a great match with both curries for both texture and taste. One of the best dishes of the evening had to be the Weeping Tiger Sirloin Steak. This is a dish we haven't come across too often in Thai restaurants in the UK but one Lyndsey has enjoyed in Miami on holiday several times. The steak was perfectly marinated and cooked in beautiful aromatic spices - with just the right kick to compliment the melt in the middle sirloin. She asked for it to be cooked medium-rare and that's exactly what it was. Sometimes steak restaurants can struggle to get the cooking right so was pleased to see that a Thai restaurant could get it spot on. Our desserts were as delicious, if not more than they look. 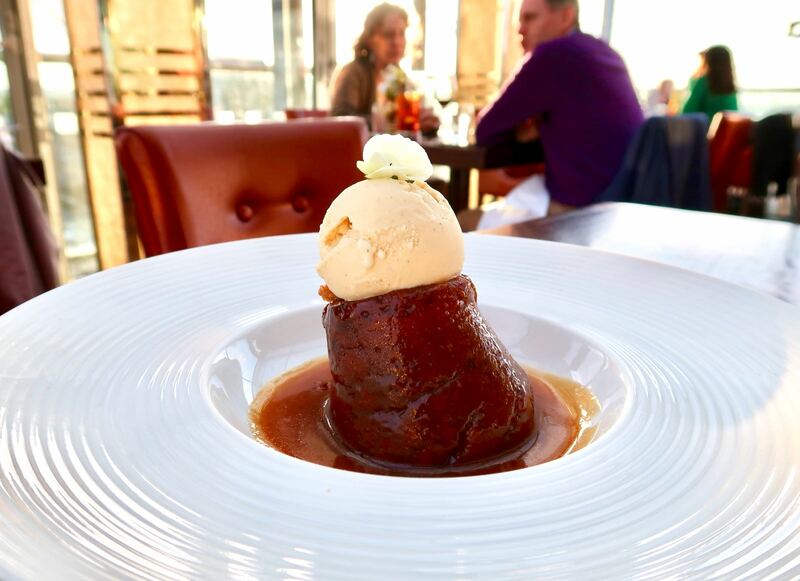 Zoë tried the Thai style Sticky Toffee Pudding with a hint of ginger and it was divine. The blend of ginger was just right and didn't take anything away from the comforting warmth from the toffee sauce and soaked sponge. 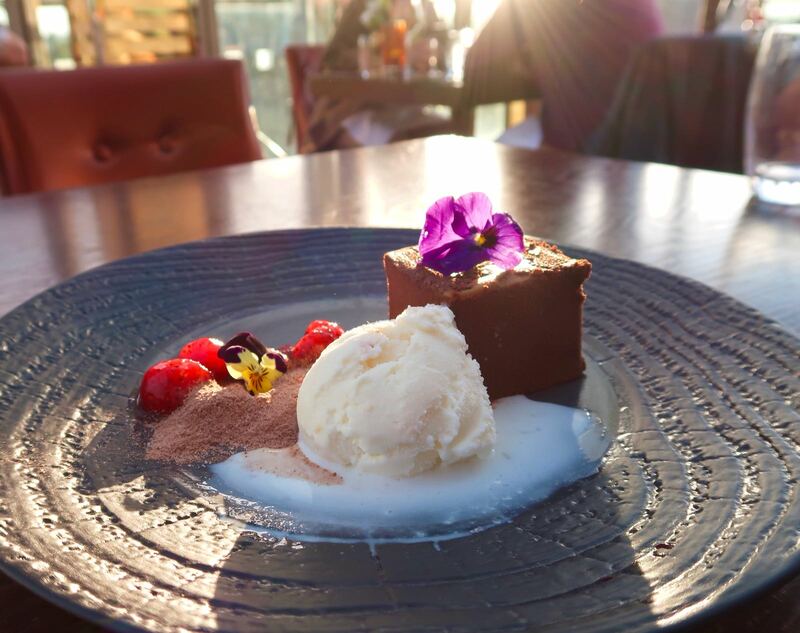 Lyndsey went for the chocolate box which was rich in flavour but light as a feather- the ultimate chocaholics dream come true. Toni went for a soaked bubka (kind of similar to baklava soaking) which was sweet enough and a lighter end to such a wild flavour rollercoaster of a meal. 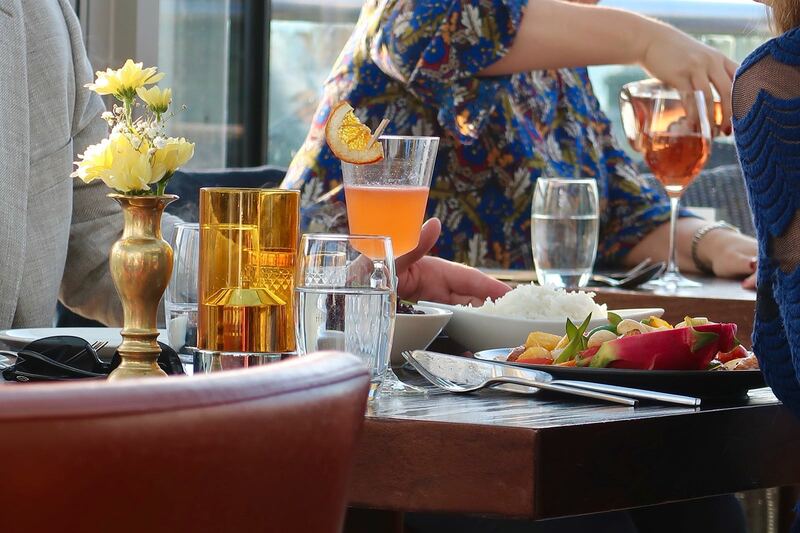 Our experience with Chaophraya was flawless and utterly delicious. The price point isn't ridiculous for the quality of the food and the whole experience was fun and memorable. We loved each course just as much as the next and can't wait to return again very soon. They're more than happy to meet any dietary requirements or make dishes milder or spicier if you wish. 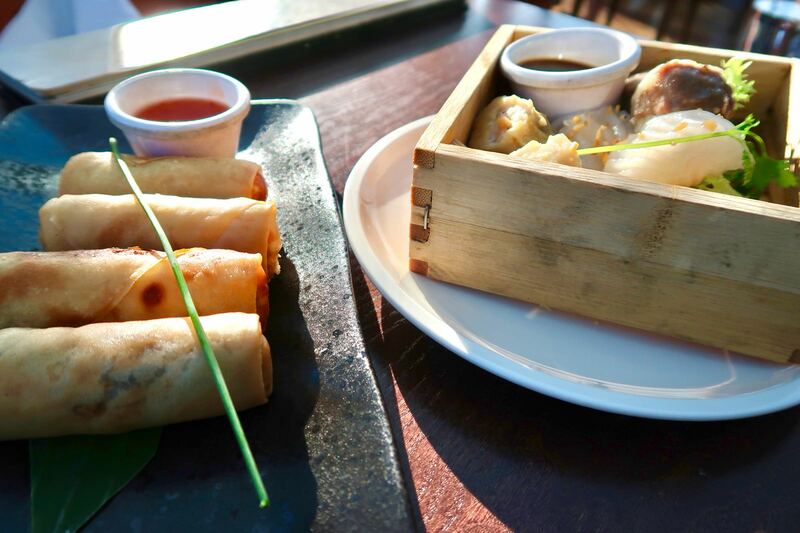 The food is fresh, exciting and simply the best Thai restaurant in Edinburgh. Be sure to book in advance during the mania of the Edinburgh festival and fringe!